Whenever you're faced with a creative block, pick up one of these gems. When it comes to creativity, sometimes all you need is a little inspiration to get the wheels turning again. Especially if you are a writer or an artist, it is essential that you surround yourself with books. 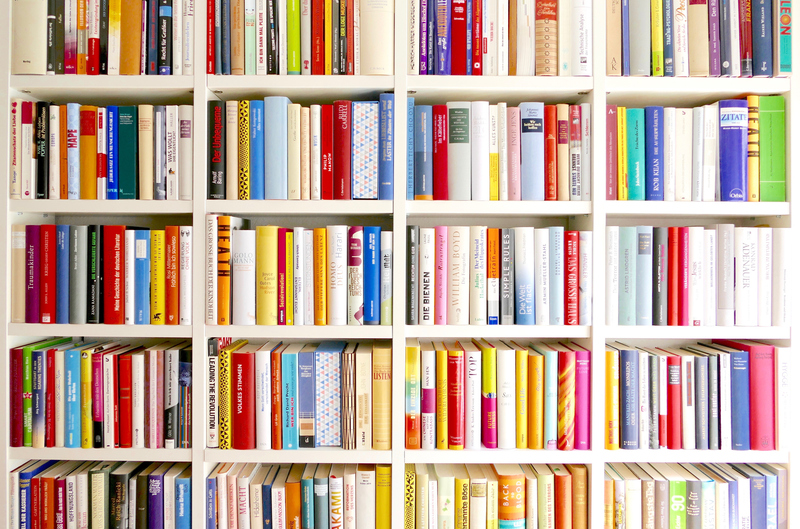 Your bookshelf should be a reflection of all the people whose work you admire–which, in a sense, creates a “mood board” of who and what you ultimately want to create and become yourself. I am a firm believer in reading. In fact, I challenge myself to read a book a week. As a creative, over the years I have come across a few titles I now turn to whenever I’m feeling stuck, uninspired, or frustrated with the work. This was recommended to me by a friend, and it ended up becoming one of my personal favorites. Art & Fear says everything a creative person says to themselves, but never wants to share with anyone else. It breaks down the fears we have as artists, as creators, and how that fear often cripples our best work. It goes further to give clear examples of how to re-frame those fears and make them work for you instead of against you. It is a short read, but its wisdom exists in its simplicity. The message is simple: If you’re afraid of what you’re creating, you are creating something of value. Keep going. I love this book because its message is something I believe in wholeheartedly: you have to love what you do more than you love the idea of what you’re going to become. Case in point: A lot of people love the idea of becoming “something.” They see themselves as a lawyer or a CEO or this or that–but they don’t love the work that it takes to get there. Newport’s theory is that in order to truly be great, you have to love the process, and it’s ultimately through the process that you find fulfillment. In parallel, his other message is that too many people think they have to know what they want to become before they actually start. False. Newport believes (as I do) it’s through the process of doing something that you end up creating that end goal. In short: The reward is in the journey. A classic (and probably a bit cliché at this point), this book has had a tremendous impact on my journey. It’s a simple story of how a young shepherd finds reward and fulfillment in the very place he started. Coelho is a folk tale writer, but there is a reason this book has become so popular among the masses. It is a wonderful reminder to be patient with the journey and not get caught up chasing the elusive rewards we think we need. “The Alchemist” reminds us to enjoy the journey more than the end. This is for all my creative writers out there. If you need a book to help you stay sane through the arduous and grueling process of “writing,” look no further. Anne Lamott will make you feel understood for your struggles–and then help you remember why you loved writing in the first place. However, this book is applicable to just about anybody. Even if your writing skills go no further than writing e-mails, the skills learned from this book are still relevant. For example: Lamott reminds us that great writing starts with a simple sentence. Too many writers (and people in general) try to make things more complicated than they need to be, like this sentence here, which I’m writing to prove a point, and includes a lot of different thoughts and in all honesty would have been much better if I had just broken it up and kept it simple. Sometimes that subtle (but obvious) reminder to keep things simple is all we need to hear. Creativity is all about taking chances and going your own way. Portnoy’s Complaint is a novel about a Jewish boy who, quite viscerally, relives his adolescence and young adulthood on a therapist’s couch. But the reason the novel is such a great one to have on your shelf (aside from the fact that it’s brilliant and hilarious) is that it’s a tremendously powerful reminder to not be afraid to create what your soul calls for you to create. Philip Roth took a huge amount of abuse for writing Portnoy’s Complaint. He is Jewish. His family is Jewish. And the main character in the story, who many imagine probably reflects a young Philip Roth, all-too-descriptively details the hilarious horrors of growing up in a Jewish family; and dealing with a Jewish mother; and trying to find a suitable mate; etc. The book went on to land a spot on the top 100 best English-language novels of the 20th century. But Roth endured a storm of criticism for writing it. I love this book because it is a reminder to never be afraid to tell your story and go your own way.